The NHS Trust which provides mental health services in Sussex is reviewing their telephone helpline service. In East Sussex the Mental Healthline is available from 5pm to 9am and 24 hours at weekends and Bank Holidays. Whereas in West Sussex it is operated 24 hours a day, seven days a week. It provides support and information to anyone experiencing mental health problems including stress, anxiety and depression. The service is also available to carers and healthcare professionals. The purpose of the survey is to capture the views of people who use the service, those who refer to the service and those who work in and commission the service. 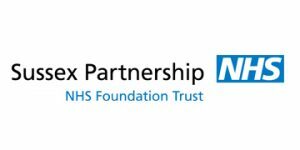 Sussex Partnership NHS Foundation Trust have said they will use the results of the survey to help give them an idea of how best to meet the needs of people wanting to use this service. The deadline to complete this survey is 15th June 2018.